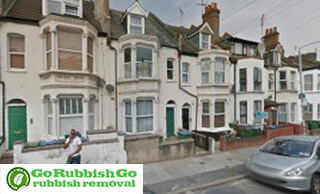 Are you sick of relying on the council for your rubbish removal services? Perhaps you’ve been waiting for months to have your white goods recycled, or perhaps you’re sick of your limited council collection services? Either way, our Charlton waste disposal team can help! Equipped with large lorries and excellent equipment, our waste collection Charlton experts can pick up and remove almost anything that you need. So if you’re sick of getting a sub-standard service in Charlton, SE7, now is the time to make a change for the better! Our services offer excellent value for money and can be hired any day of the week via our friendly booking hotline 020 8610 9182. 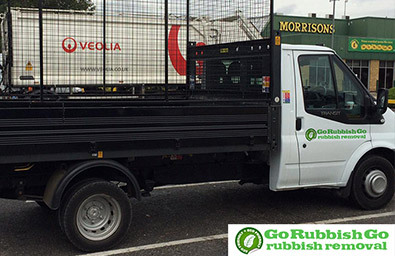 Do you want to get the lowest possible price for your rubbish removal package? Then make sure you check out our incredible range of deals! 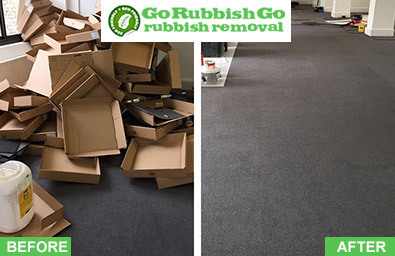 Go Rubbish Go offers a great selection of packages at super-low prices each and every day of the year. With no hidden charges, we can guarantee you a fair and honest price for all of our services with no dreaded small print! In fact, we can guarantee that our prices are by far the best in the local area! So don’t waste your money on any other firm in Charlton when we have an extensive team of SE7 rubbish clearance specialists ready and waiting to help. Why Should You Hire Us For Waste Removal In Charlton? Choosing the right junk removal firm can seem like a struggle. That is why we at Go Rubbish Go have made it our mission to make your life easier. Our firm offers the best Charlton rubbish removal services and has an expert team, state of the art facilities and low-cost prices. So if you want to enjoy the best of the best, call us on 020 8610 9182 to speak to one of our advisors now. Our team can give you a free estimate over the phone in just a matter of minutes with no long forms or ridiculous questions to answer! All you need to do is tell us what you need collecting and when and our team will take care of the rest! So don’t let your waste get you down when you can let us take care of it for you! Very pleased with the service! They provided a fast and very efficient waste disposal service! I hired them to clear out my garage in Charlton, SE7. They wasted no time in arriving and then doing the job. Perfect help from start to finish! Thank you so much for the brilliant work! Expert SE7 Waste Collection Team Who You Can Rely On! We pride ourselves on having a fully-trained team of experts who know everything there is to know about rubbish disposal in SE7, Charlton. Our workers are dedicated industry specialists who are fully-experienced at working on residential and commercial projects. Always willing to go above and beyond, our team will work in any conditions, any day of the week. Heavy, awkward or difficult items are also no problem for our workers who will never ask you to do any of the lifting. So if you want to hire a team of professional junk disposal experts in the SE7 area there is no better firm that you can turn to! In this day and age it is increasingly important to make sure that you are doing your bit for the environment – this includes disposing of all of your waste in an environmentally friendly manner. So if you want to make sure that your house or office waste is recycled and disposed of in a professional way call us for some advice today or hire us for waste removal SE7, Charlton! We recycle all of the waste which we possibly can whilst also keeping all of our other waste to an absolute minimum. With low-fuel emission vehicles and excellent logistic planning, we keep our mileage and our carbon footprint down! Call 020 8610 9182 to find out more about our green waste clearance SE7 and get a free quote! Charlton is a district in the Royal Borough of Greenwich, South East London which borders Greenwich to the west and Woolwich to the east. The first mention of the area was in the Domesday Book of 1086 as Cerletone and it was later called ‘Charlton next Woolwich’ so as not to be confused with Charlton by Dover. Charlton House was built in the early 17th century and is a community centre now, and its estates have been converted into open spaces and public parks. Maryon Wilson Park and Maryon Park both bear the name of the Maryon-Wilson family that owned the manor until 1925. There are two more parks in the area – Charlton Park and Hornfair Park, and the campus of the Royal Greenwich UTC is based here too.